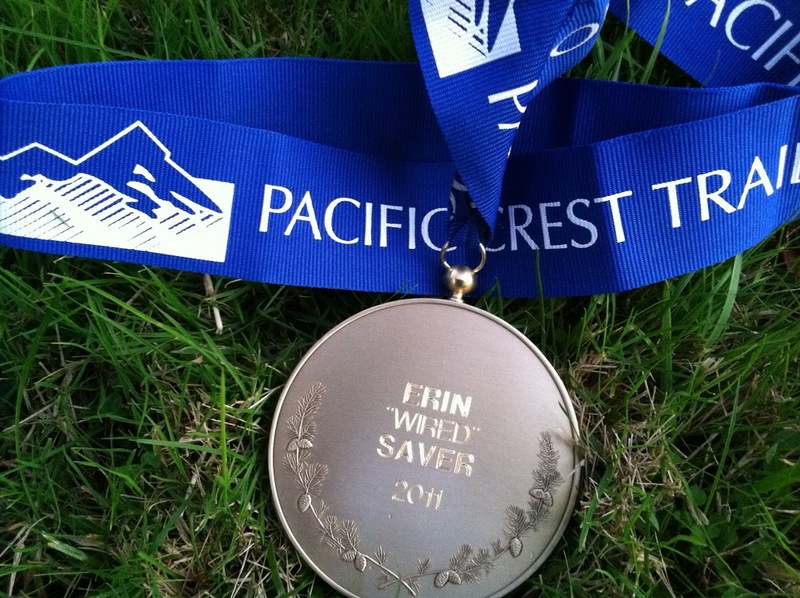 The AWESOME finishers medal provided free through the PCTA from a donation from 1970 thru hiker, Eric Rybak. 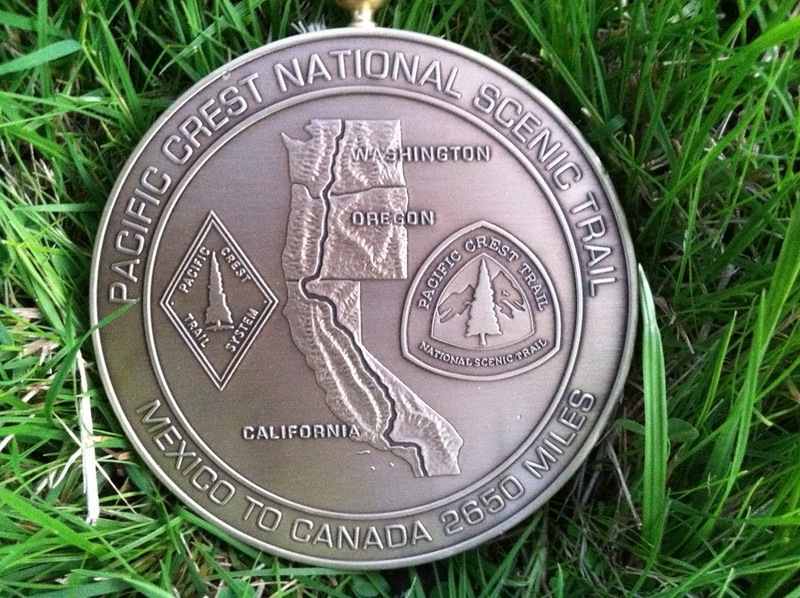 Plus, they are engraved and include trail names. So cool! The one pic I have of “Wired” in action journaling. Thanks to Liz for this one of me and Meow Meow in N Cali! Balls, Sunshine, Snowblind, and me. My least favorite kind of stream crossing. Swift and COLD with unstable rocks. 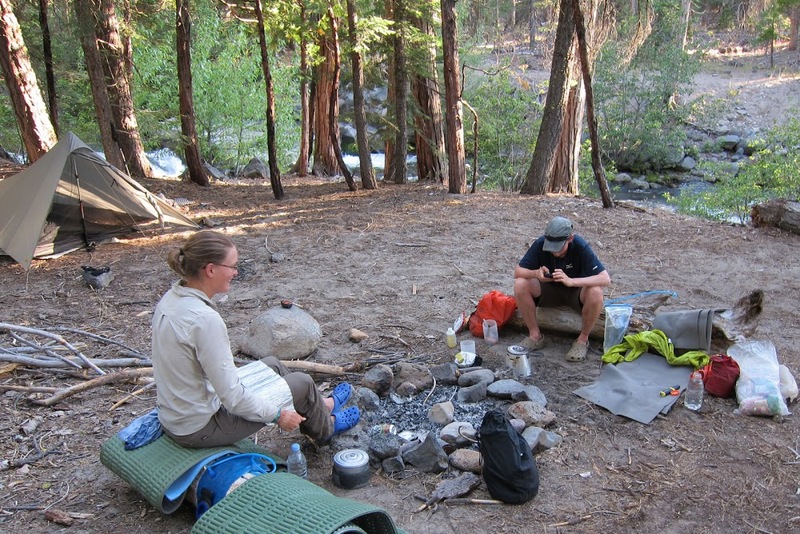 Below are a few videos from the Sierra. This first one is a video from Thumper of, yet another, ice cold, deep ford we had north of Tuolumne Meadows. You can see Balls & Sunshine crossing while I pathetically attempt to cross on my own in a current that was just too much for me to stay balanced. I got caught up and went back to the bank. Then Bottle Rocket and Balls came across to help carry my pack. So glad they were there to help in that section! This video is another one from Thumper when we had an extended steep downhill section just north of Tuolumne Meadows that was covered in snow. You’ll see all the tactics including Sunshine’s glissading, my ungraceful falling, and Bottle Rocket’s advanced boot skiing. Also in the videos are Balls, Snow Blind, and Scout’s Honor(Little Jimmy). 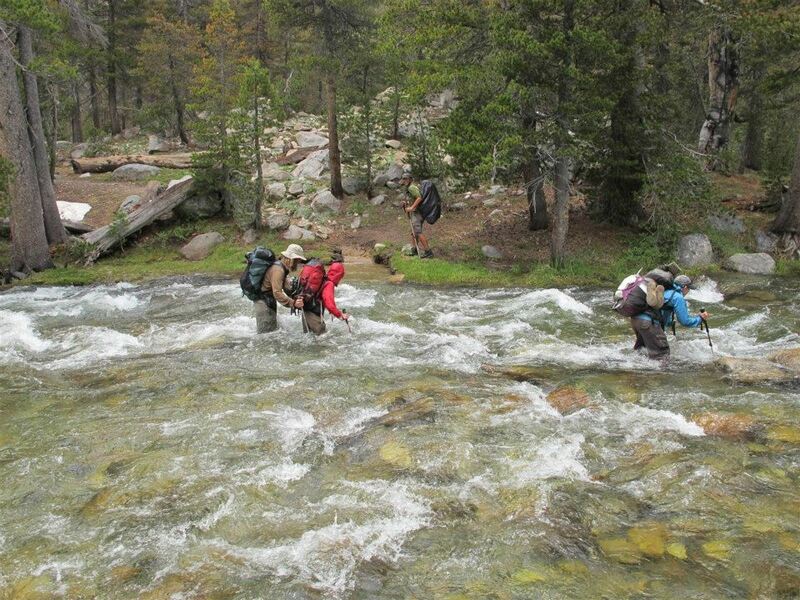 This final one is an example of the creek crossing that I disliked the most. It was swift, COLD, and had unstable rocks underneath. This is early on and Balls is instructing Sunshine on how to cross safely using her poles for balance. Blister is narrating.